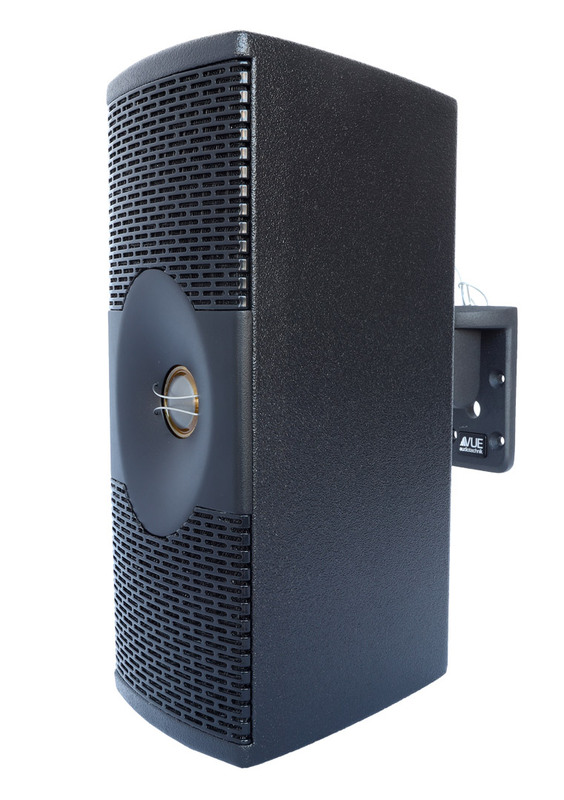 The new e-Class Architectural Element Systems is a unique range of products designed for installation applications that establish a new paradigm that will change sound designers basic assumptions about the size, look and the performance of compact loudspeakers. Paired with VUEDrive rackmount electronics, the e-Class provides audiophile quality and professional audio sound pressure levels from ascetically pleasing compact loudspeakers. The integration of Dante networking in the VUEDrive Systems Engines enables new ways of thinking about distributed audio and audio for video. The es-269ACM protrudes 8.5 inches from the floor or wall while providing more output down to 40 Hz than a much larger dual 8-inch system. VUE is shipping the e-352 now and both the e-351 and es-269 will ship in the fall.